Dissent is hard to come by in Gujarat. The opposition puts up a very feeble fight. The press is largely pliable. Activism is squelched. Criticism is not tolerated. You will be accused of hurting Gujarati ‘Asmita’ (pride), a chauvinistic fervour whipped up by chief minister Narendra Modi during his pre-election Gaurav Yatra. But Gujarat witnessed an unusual sight over the last 15 days. An RSS pracharak, Laljibhai Patel, camped on the banks of the Sabarmati in Ahmedabad on a hunger strike. The first rumblings of dissent against the Modi administration have emerged from within his party itself. From the Bharatiya Kisan Sangh (BKS)- the farmer’s wing of the Bharatiya Janata Party (BJP). The BKS has been at loggerheads with Modi’s government since last June when it raised power tariffs from Rs 500 to Rs 1,260 per horsepower. Farmers have also been against the Gujarat Electricity Board’s effort to install meters on farms. With the BKS agitation gaining support, the government reduced the tariff to Rs 900 per horsepower in October last year. But the farmers were not satisfied. They continued with their agitation. That irked Modi. 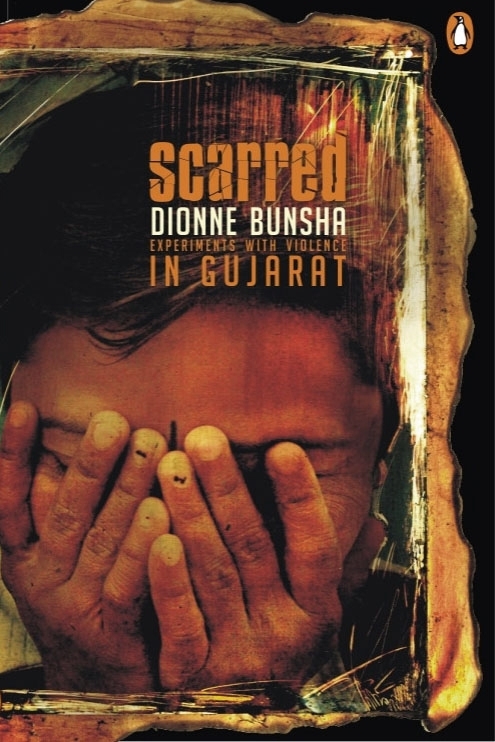 He got the BKS forcibly evicted from their office in a government flat in Gandhinagar. Then Laljibhai joined the BKS agitation, an organisation of which he is co-founder. After two weeks of resistance, negotiation and intervention from Arun Jaitley, they reached a compromise on 4th February. Lalji called off his fast. But all the farmers got in return was a mere Rs. 50 per horsepower reduction in tariff. Gujarat Chief Minister Narendra Modi with party leader L.K. 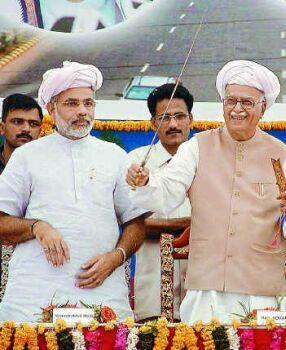 Advani in Ahmedabad, during the latter’s Bharat Uday Yatra at the height of the campaign for the general elections. This temporary truce may have saved Modi from embarrassment. But it will be a long way before the problems faced by Gujarat’s farmers are resolved. The power problem is closely linked to the acute water shortage that the state confronts. With no other source of irrigation, farmers pump ground water. Groundwater supplies around 85% of Gujarat’s irrigated land, as compared to 60% in India. This has adversely affected agriculture. Production costs are so high, agriculture is no longer profitable. “Wheat cultivation in north Gujarat is 10 times more expensive than in central Gujarat because in the north, they consume a lot more electricity to pump water,” says Jay Narayan Vyas, former Narmada minister. Unable to keep up with spiralling input costs, several farmers are heavily in debt. Farmers have faced several difficulties due to the Gujarat Electricity Board’s (GEB) erratic services. “Why should we pay more when they don’t deliver on their promise of 14 hours uninterrupted power supply? We get electricity for only six hours a day. Sometimes, at odd hours of the night,” Patel pointed out. It’s unfair that farmers alone are blamed for the GEB’s losses. “Transmission and distribution (T&D) are also very high. This is because industrialists bribe local engineers and steal electricity directly from the cables. Wherever there are industries, line losses are highest. Why doesn’t the government look into this?” asked Parthibhai Patel, a farmer from Banaskantha. Cheap power also allows indiscriminate drilling of tubewells, up to depths of 1,500 feet. This has completely depleted aquifers. “In the future, even if you give farmers electricity free of cost, they will have no water to pump,” says Jay Narayan Vyas. Falling groundwater tables have also had adverse environmental effects. Due to excessive fluoride in the groundwater, people suffer from flourosis, a condition in which teeth and bones degrade. The crisis in agriculture stretches far beyond a tussle over power tariffs. The can of worms has been opened. For how long will the Modi government be able to contain it?